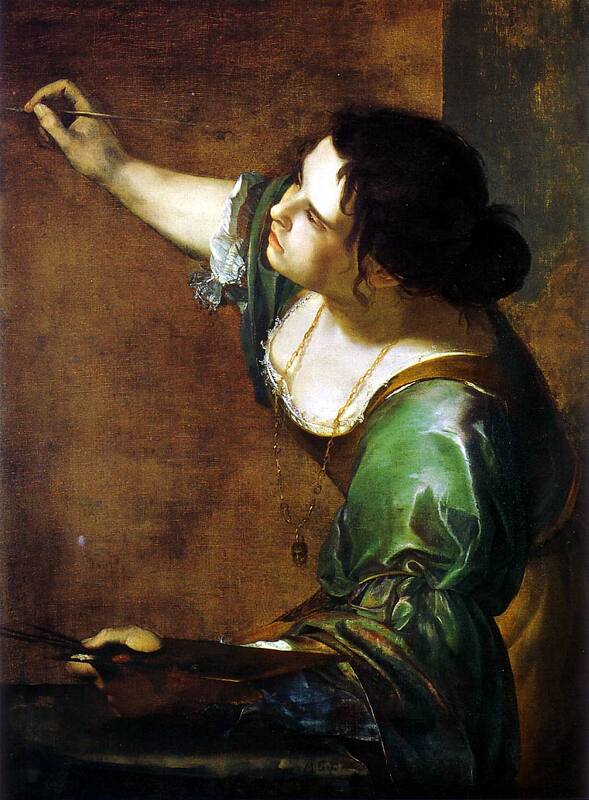 NOW we can start Left Bracket Fifth Round Elimination, with this match pairing Artemisia Gentileschi (6-1, 60-31, .659) against Caspar David Friedrich (5-1, 56-22, .718). But wait a moment -- that's a GRUDGE MATCH lineup, since Gentileschi and Friedrich have met before, way back in the halcyon summer of 2015. Friedrich won that first match, so a tie will mean a victory for him. Leaving the Tournament to make room for this match are Atkinson Grimshaw (4-2, 44-29, .603) and Wilhelm Hammershoi (7-2,70-39, .642). Grimshaw's stats put him at a surprising 16th out of the 421 artists that have now left us, while Hammershoi, who lost in Round 2 before winning six straight in the Left Bracket, is the first artist to leave with seven wins to his credit, and ranks 7th among the fallen. 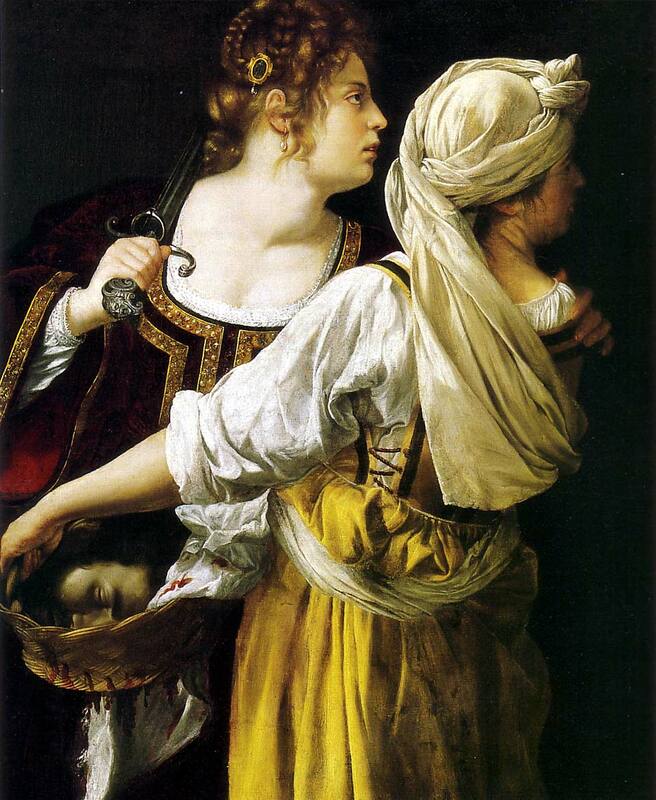 Artemisia Gentileschi was an early Italian Baroque painter, and the only female follower of Caravaggio, whom she worked with in Italy in the early 17th century. 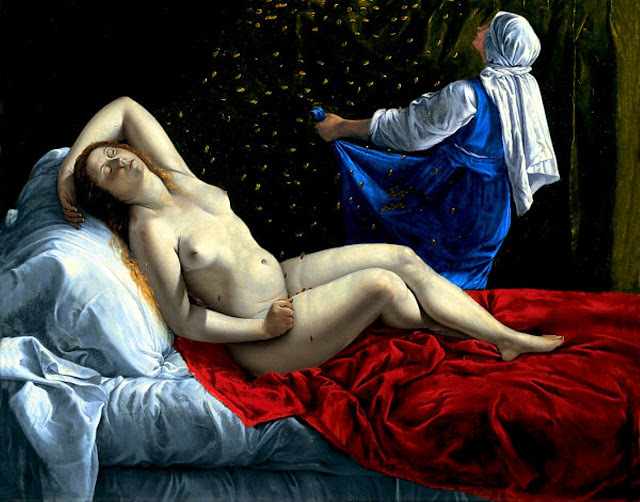 Her innovative compositions and focus on Biblical heroines set her apart from her male contemporaries and have lead to the celebration of Gentileschi as a painter with a uniquely female perspective. Defeated Carel Fabritius in the Left Bracket Fourth Round by a single vote. YOUR VOTE COUNTS!!! Vanquished Lyonel Feininger in Left Bracket Fourth Round Elimination. Ousted Atkinson Grimshaw in the Left Bracket Fifth Round. 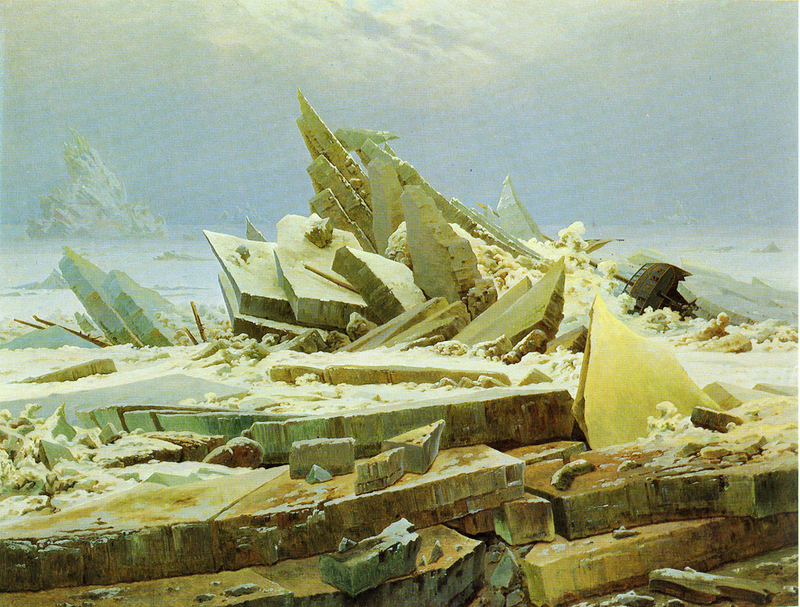 Friedrich created a new kind of landscape painting; in his pictures landscape becomes a symbol of human feeling. 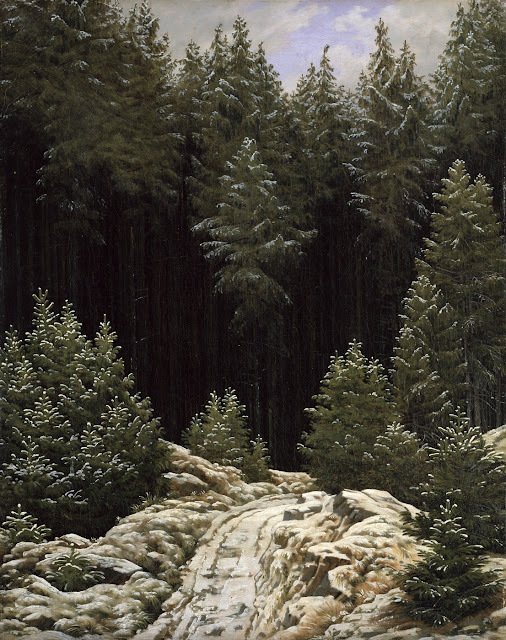 The special trait of his approach to landscape is that the eye is pulled into the far distance, as the path here is lost in the farthest depths of the forest. 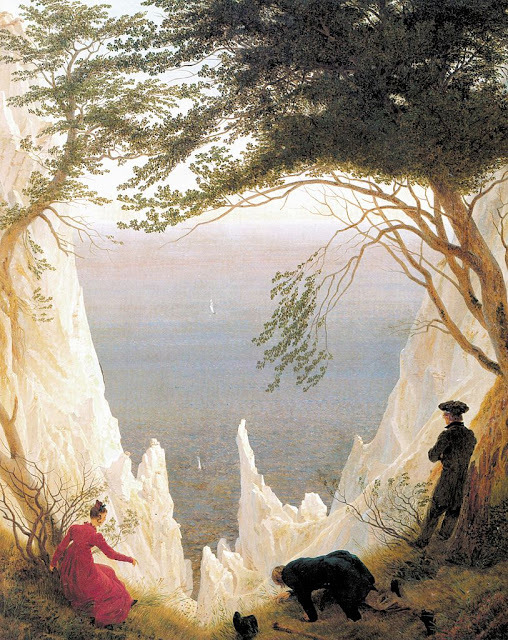 This compositional peculiarity originates in the predominant sentiment of his period -- longing, aspiration toward the unknown and the illimitable. 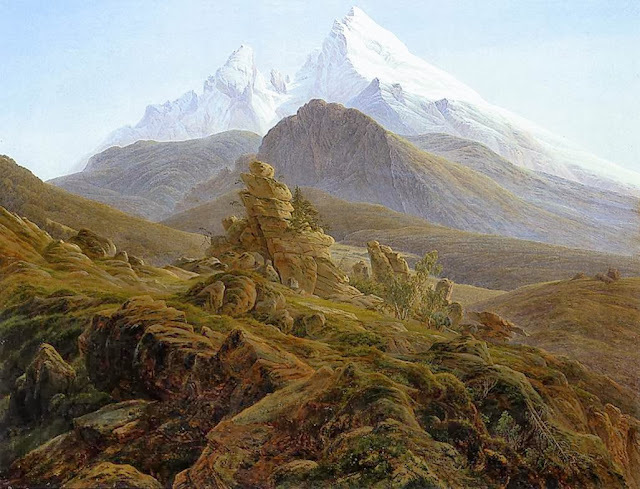 Nature for Friedrich is a mirror Held up to Man's soul, and it can become this because he himself has no doubts of the quintessential oneness of nature and man. -- 20,000 Years of World Painting. Crushed Jean-Honoré Fragonard in Round 3. Fell to Thomas Eakins in Round 5. Knocked out Wilhelm Hammershoi in Left Bracket Round 5. 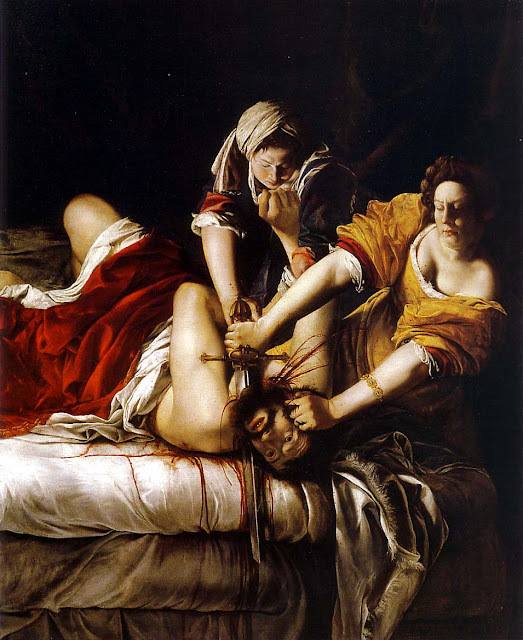 I think Gentileschi's the better artist. I do feel a bit sad about voting against Caspar Freaking Friedrich, as I do love his melancholy landscapes, but that's the fifth round for you. Tough choice! So dramatic in such different ways. 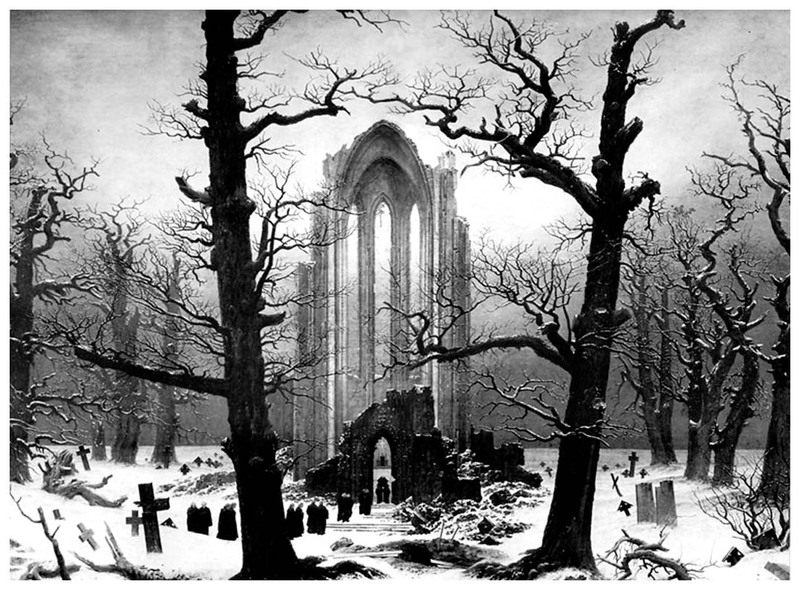 Gentileshi's do feel a little more repetitive though, so I'll lean Friedrich. Mariah votes for Friedrich on FB. Susan votes for Friedrich by mail. Know what? I'm voting for Artemesia! It comes down to the final vote, but Gentileschi takes it and continues her improbable march through the Left Bracket. Can she slay Thomas Hart Benton in his tent? We'll find out next week!